I love fiction and art inspired by other things. I think this is how we start as creators of new art, by loving and recreating the work that has come before us. I started seriously writing within the world of Twilight fanfiction. While I do have some issues with trying to make money off of something that is obviously someone else’s work, fiction, poetry, music, and art inspired by other works are not only a natural part of an artist’s evolution, it’s a necessary one. In fact, one of the things I’m really excited to see if fan art of my series. I just never expected to start seeing it so soon! Already I have seen several graphics made with quotes from the books, a sketch, and now a poem! This landed in my inbox last night and I requested permission to share it because HOW COOL IS THIS?! The poem below was inspired by Mariella from the beginning of Sing Sweet Nightingale and written by Kayla DeGroote. Who knew I so easily could? 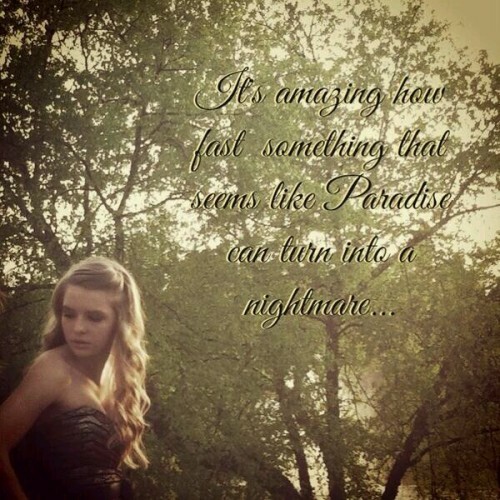 This entry was posted in Fan art, Inspiration, Sing Sweet Nightingale on March 16, 2014 by Erica Cameron.